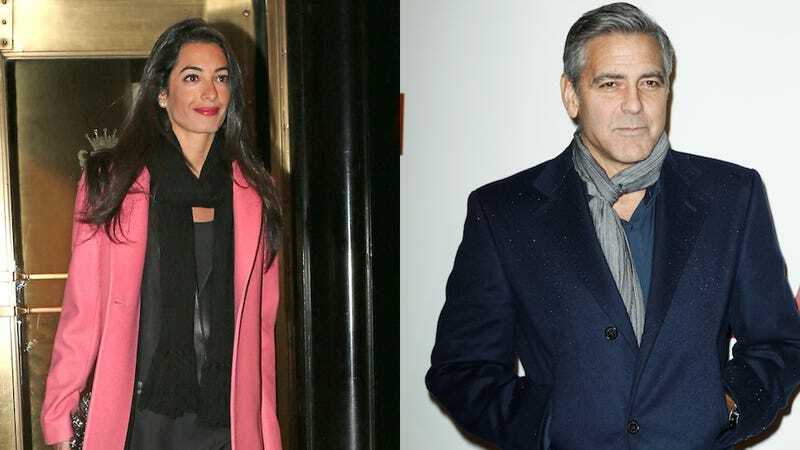 WOW, CAN YOU BELIEVE THE NERVE: according to an exclusive Daily Mail report, Amal Alamuddin "blew off" George Clooney's family reunion in Kentucky — even though his parents literally just got the house repainted — because she had other plans (doing international human rights stuff, saving the world or whatever). The Daily Mail reports that Clooney's extended family was "disappointed" when he showed up at the reunion without Amal. Says a cousin of George's, "When he came in the front door, I was looking around asking 'Where is she?' ... He explained that she's a lawyer and apparently she's across the sea somewhere working on a case, off saving the world. It was a shame because I would have liked to have met her."